Sponge gourd oil and almost 90% pure pigment gives this highly concentrated loose colored powder the ability to range from subtle to ultra intense effects depending on application. Pigments can be mixed with DURALINE to create liquid forms of all pigment colors. Very pigmented! This color is a beautiful blue-green. It does have fallout so many sure to do your face last. Also use a good primer; I just played with it and it did stain my eye a little. But I will definitely be buying more. Another down side is no color descriptions. 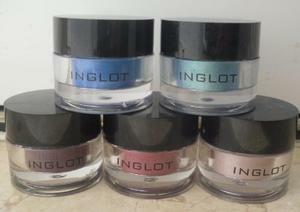 Why doesn't inglot have color descriptions? A great product to get an intense amount of color! My favorite when it comes to loose pigment eyeshadows. It lasts long and you only need a little and it blends well after you apply it to the eye. I saw these and knew I would love them so I actually ordered 10. 33, 87, 83, 14, 35, 68, 70, 28, 32 and 23. I absolutely love them all and know I will place another order soon. So pigmented and just gorgeous. 14 is the perfect highlight color and 35 is exactly what I've been looking for. Kind of a mauve purple with gold reflex. So stunning. I also bought duraline and the combo is unstoppable. Lasts all day until I'm ready to remove my makeup. The fall out is there but far less than i expected with a pigment and it blends like a dream. My HG of pigments. I never use that term because I feel there are so many good products out there but this is 100% my go to. If you're contemplating, do it! True to color and long lasting. My favorite combination! Little product is needed to achieve the desired color. I was surprised to find that it did well with blending. (Protip: The colors would always look different with a white or black eyeliner base as well.) The only downfall would be fallout as mentioned in previous posts. However, this wasn't too much of a problem for me as I would always make sure to tap excess product back into the container before applying. Great results very pigmented! 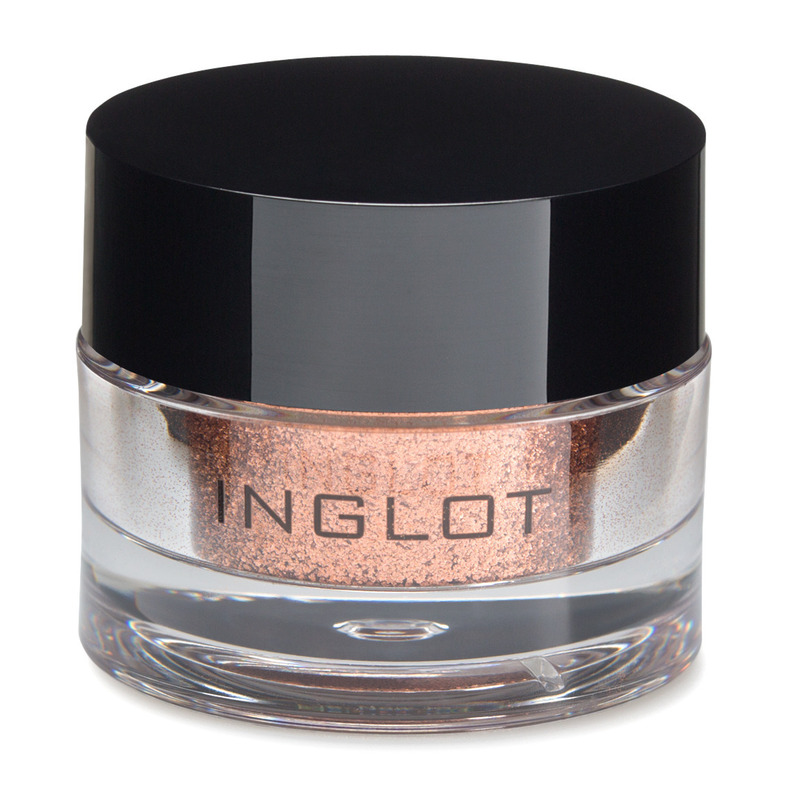 i highly reccomend this product i used this on a cut crease to acheive a shimmery highlight on lid and that is exactly what i recieved from this product! 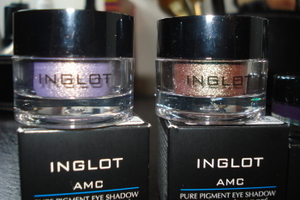 Inglot's AMC Pure Pigment Eye Shadow is fantastic. I currently own two and the color pay off and the unique quality of the texture of each of them is amazing. I did notice though that there tends to be a lot of fall out with these, so if you want to try these out apply them wet, preferably with a mixing medium. I have a lot of eyshadows and a couple of pigments, but these ones (22 and 35) are gonna be ones of my top favorites. Both colors are really unique - they are duo-chromes with golden and violet undertones, 22 is more golden with both cool(violet) and warm(golden) undertones and 35 is more silver and cool with less gold in it. 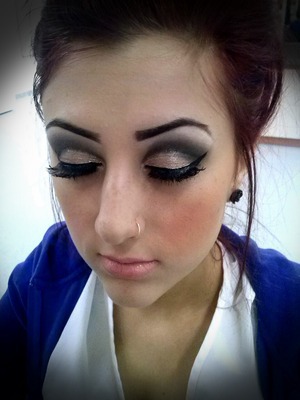 When applied they seem lighter on the lid and darker in the crease due to duo-chrome effect. Can be applied solo as an everyday shadow, wet or with duraline for deeper color. Cannot say if you need both at the same time, but I could not choose. Love it! I can't say enough how much I love these pigments! This one is absolutely beautiful! I get so many compliments about how colorful the pigments are. I am not a big fan of loose eye shodow pigment but as soon as i saw this shade i knew i had to try it! So i got the sade 50 and a little bit goes a long way, it gives a bright pink color but not quite a magenta color and it differs hints of gold when it hist the light. This color is perfect for the summer and going into the fall because you can always blend it in with more nutral colors around the fall. This eye shadow has become one of my new favorites!